Staccato, legato, sautille, hook stroke! How do they make it look so easy and sound so good when you can’t even seem to hold your bow properly? Over the years, teaching students to hold a violin bow properly has probably been the number one bane of my existence. When you begin your violin journey, holding the bow can be awkward; you’ll no doubt feel more comfortable with your thumb or little finger straight or your hand further up the stick. It may seem unnecessary now, but holding your bow correctly will lead to a more relaxed and proficient bow stroke, enabling you to progress to more difficult and interesting bowing styles later on down the track. 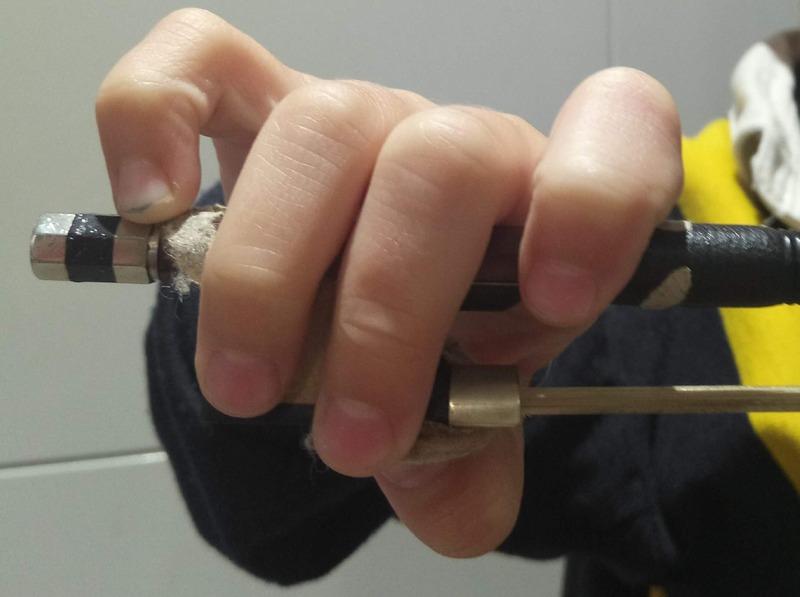 In the following post, I’m going to walk you through how to hold a violin bow and also discuss the importance of ensuring correct bow hold technique from the very beginning. Getting Ready To Hold Your Bow – Hello Mr. Rabbit! In their very first lesson, I always liken the shape of a student’s bowing hand to the face and ears of a rabbit. Little students love this idea and get quite excited when we draw eyes on their ‘rabbit’. 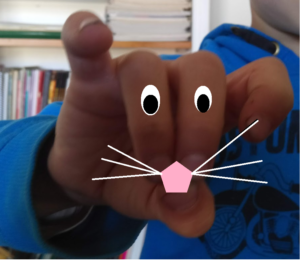 Although this is an especially cute idea for little kids, I also get my adult beginners to make their bowing hand look like a rabbit before adding the bow. To form your rabbit’s head, simply make a circular shape with your thumb and two middle fingers. Your pinky and pointer fingers will then take the shape of your rabbit’s ‘ears’. Here’s a picture of Gemma’s hand demonstrating the correct rabbit position. Gemma is 5 and has already developed quite a good bow hold. The rabbit hand shape is easy to create and forms the basis for comfortable and a technically correct bow hold. As you can see, I’ve added a nose and some eyes; you could draw some eyes on your child’s two middle fingers or use some googly eye stickers if it helps get them excited about holding their bow correctly. Before adding your bow, get Mr. Rabbit to nod and shake his head by moving your wrist up and down and left to right. This is easy enough but also so effective in encouraging proper hand formation whilst maintaining a loose, flexible wrist. For beginner students or those who are having troubles related to their bow hold, I start with what I call the ‘hungry rabbit’ bow hold. Essentially, your rabbit opens his ‘mouth’ and grabs onto the bow. Firstly, focus on recreating your rabbit’s ‘head’. Your two middle fingers will rest on the white circle of your bow and your thumb will bend underneath. You’ll probably not need to think much about your rabbit’s ears; once his head is formed, the ears should fall into place naturally. Make sure that your pinky finger is bent and sits gently on the frog. Take a look at your bow hold from the front; a mirror is very convenient if you don’t have a teacher or parent to help you. It’s important to maintain the shape of your rabbit’s head while also ensuring that there is no tension in the hand, wrist or bowing arm so look out for any abnormalities in your rabbit’s head shape. 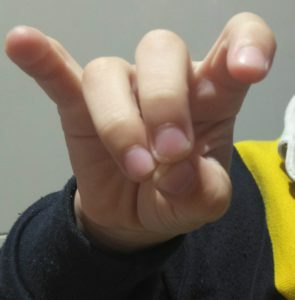 Once the bow hold is comfortable and natural (usually after a few months or even a year), you can move your thumb to the ‘normal’ bow hold position. Because you’ve spent so long ensuring that your rabbit’s head is well-formed, your bent thumb and little finger from the hungry rabbit bow hold will transfer easily into a bent thumb and little finger in the normal bow hold position; something that many students find difficult. .
Before adding your violin, you want to spend some time getting used to the feel of the bow and the way it moves. You now know how to hold a violin bow but this will be hard to maintain once you start moving across the strings of your violin. I’ve come up with some really good exercises which will not only help strengthen your bow hold technique but also encourage you to remain mindful of your bow hold each and every time you go to practice. 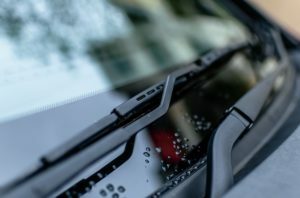 Windscreen wipers: Whilst maintaining your correct bow hold, twist your wrist from left to right so that your bow moves like a windscreen wiper in the car. Yes Rabbit: Have your rabbit nod his head by flexing your wrist up and down; do this with and without the bow. No Rabbit: Have your rabbit shake his head by flexing your wrist left to right; again do this with and without the bow. Even my more advanced students work through these from time to time; especially when they begin learning a more difficult bowing technique or if they become slack with the whole proper bow holding thing! The exercises are named for little violinists but definitely appropriate for older children or even adult students. Keep Focusing On Your Bow! Learning how to hold a violin bow correctly is probably one of the most difficult, but important things you’ll learn in your first few months of being a violinist. 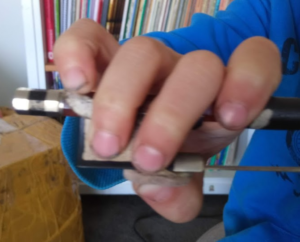 Younger beginners just want to play nice pieces, so even though their fingers are loose and malleable, incorrect technique easily creeps in when correct bow hold is not emphasised at home. Older beginners often try too hard; they’ll put their fingers on the bow correctly but in doing so, tense up their entire hand, wrist and even upper arm, which is terrible for technical development! Then there are those who come to me later in their violin journey who haven’t been nagged constantly about bow hold. Especially at intermediate levels, these guys have often developed a bow hold that ‘works’ for the stage they’re at. They don’t see a need to change, which makes my job of encouraging correct bow technique incredibly difficult. No matter what your age or stage, if you want to progress to higher levels and more difficult bow strokes, you simply must hold your bow correctly and maintain a loose and flexible bowing hand, arm and wrist. Each and every time you go to play, think about your bow hold, the position of your fingers and the level of flexibility of your wrist, arm and hand. I hope you’ve found this post useful and please remember, if you have any questions or comments about bow hold or anything else violin, leave a comment in the comment section below and I’ll get back to you as soon as possible! Best of luck with your bow hold! Hi Marketa. Many thanks for the tips. I have to agree with you that learning the proper technique from the beginning is critically important to being able to progress to higher levels of playing in the future. However, holding a violin bow seems to be a really difficult skill for some to master. I just can’t seem to get my daughter to keep her hand on the stick enough. Do you have any suggestions that could help her? Hi Andrew and thanks so much for your detailed comment. I think that your daughter’s bow may be too long. It’s sometimes a good idea to use a bow which is one size smaller than the violin. Some of the students who come to me later in their violin journeys are horrified when I replace their 3/4 or full sized bow with a half or 1/4 bow. Once they use the small bow well, I then upgrade them gradually until they’re using the right sized bow. I really like the idea of shaping the bowing hand like a rabbit. My kids love it too! I loved your article so much that as I was reading through it felt as if you were actually in front of me. It is very easy to follow, and I must confess that I turned my pen which was the closest thing to me to a bow, and kept practising while following your “Windscreen wiper”, “Yes Rabbit”, and “No Rabbit” techniques. Even though I’m an adult, will definitely check your website frequently for more tips and training as I found this one to be so helpful. I loved this article. I have a granddaughter who is only going to turn one but be that as it may when she gets a little older I will definitely have her parents use your techniques to get her started. Thank you for the great information. I’m so glad that my article is of assistance to you and your family. First of all, let me tell you I love your article very useful tips especially for beginners but as I understand holding the bow isn’t that easy for even more experienced players. Thanks for teaching all tricks and technics. Hi David and thank you for your comment and insight. You are so right that even more experienced players struggle with bow hold. I’m so glad that my tips and article are useful! Great article to help the newbie learn how to hold violin bow. I LOVED the Mr.Rabbit idea and how he eats a carrot and used it with my daughter and it was super helpful and very fun. She really is holding the bow better almost like something clicked in her head. Thank you for all the wonderful tips, I am going to give this to the music teacher at school I think she will find it very useful. I”m so glad you’ve found my article useful; you have inspired me to keep writing and hopefully helping others like you and your daughter! 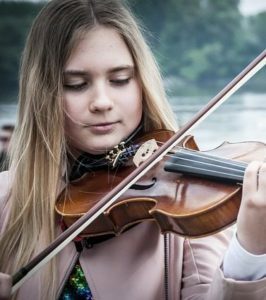 Hey Marketa, I’ve always been fascinated by violin players; their elegance, their ability to feel the rhythm, their soft but yet pricise and distinct playing. You make it fun and inspiring to read through your tips and ticks. I especially like the examples for getting comfortable with a violin. It instantly helped me visualizing the process. Great post. Thank you so much Veit! This is a very interesting article. I have always wanted to learn how to play the violin. I had no idea there is so much that goes into holding the violin bow correctly. You have a great job explaining that. keep up with the awesome work. thank you so much for sharing. When my daughter holds her bow correctly, her hand is like a rock. I know you said that it’s meant to be loose and flexible. I just don’t know how to help her hold the bow correctly AND maintain a loose and flexible hand. This is really cool. I didn’t realize how much technique there was into holding a violin bow. This is definitely an informative article for anyone looking to improve their technique. Excellent article. Thanks for the tips about holding my violin bow. I especially like the exercises you’ve suggested. Very informative even for a non violinist like myself. Although I can relate to the importance of a good posture, as a guitar player, we had to take special care of the position of the thumb. The thumb had to push the back of neck of the guitar. Very nice site. very interesting! I didn’t know there was a specific way that you had to hold your violin! good to know, I love how you used plenty of pics on this post makes for a good visual, your website looks great keep up the good work! There are so many specific ways of doing things when you are starting to play the violin!